There is still time to participate in the 2018 ACRM Annual Conference in Dallas. The ACRM Program Committee will be accepting proposals to present your latest research as a scientific poster. Present your research to an interprofessional audience. Be a part of the largest interdisciplinary rehab research event. ACRM’s scientific journal, Archives of Physical Medicine and Rehabilitation (ARCHIVES) is the most-cited journal in rehabilitation. All accepted abstracts will be published, fully searchable and citable, in the online pages of ARCHIVES. All proposals/abstracts must be submitted online via the ACRM Annual Conference System according to the submission deadlines. To see an outline of the information you will need to enter during the submission process, please download the Proposal Worksheets. All proposals must be submitted online via the ACRM Annual Conference System. To ensure that the ACRM Annual Conference truly delivers cutting-edge research, the Program Committee has issued this second Call for Proposals to present your late-breaking research as a scientific poster. The following guidelines for submitting a poster apply. Each complete submission received by the published due date will be independently peer-reviewed. There should be no more than ONE presenter identified for Scientific Posters. 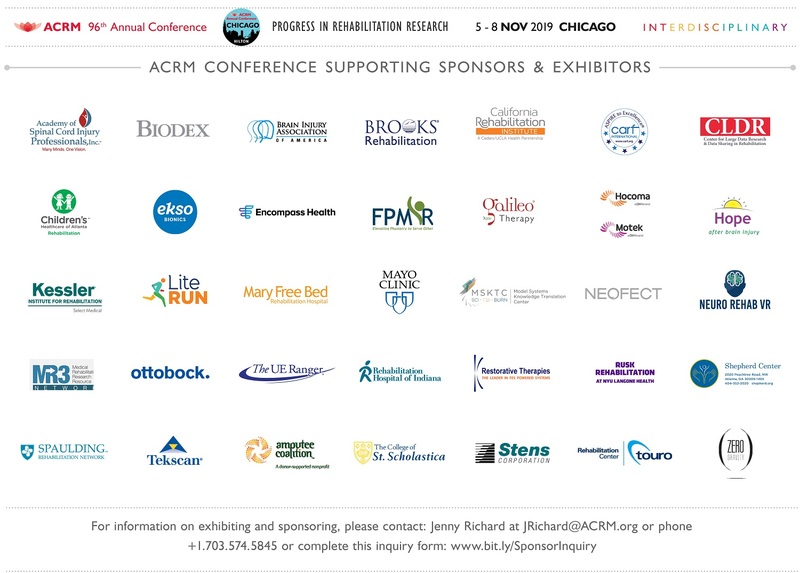 Each abstract will be reviewed for the following elements: (1) scientiﬁc and clinical quality; (2) broad appeal to the interests of the ACRM membership; (3) interdisciplinary nature; (4) timeliness of the topic; and (5) contribution to the state-of-the-art of rehabilitation science. All abstracts of accepted Late-Breaking Research posters will be published in the online pages of the ACRM journal, Archives of Physical Medicine and Rehabilitation, December issue, where they will be fully searchable and citable. Archives is the most-cited journal in rehabilitation. *Posters accepted during the Call for Late-Breaking Research will not be eligible for poster awards.